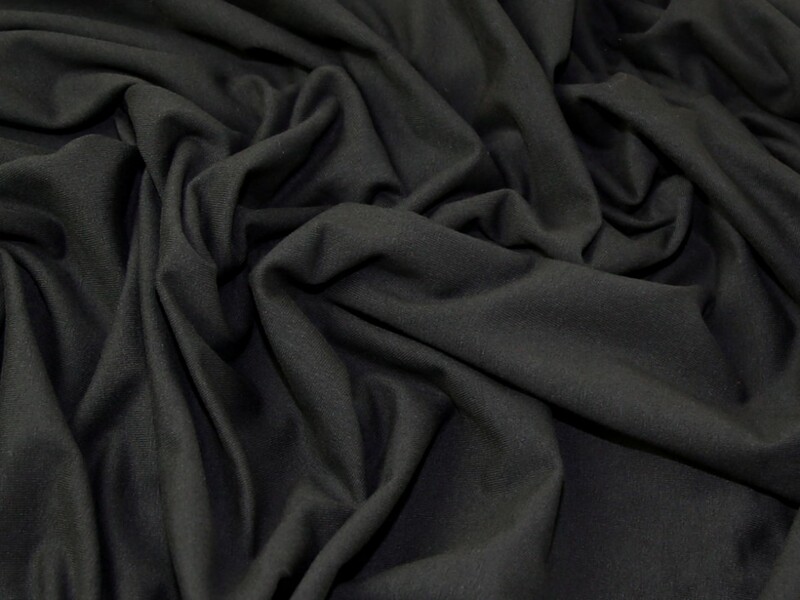 This fabric is a stretchy jersey knit made from cotton and spandex fibres. It really is the most beautiful quality from our premium range and it at an excellent price for the quality. It stretches in all directions with a good amount of stretch. It is quite a stable jersey and not very drapey jersey, therefore ideal for people who are new to sewing with jersey as this is an easier fabric to sew. It is a medium weight and perfect for sewing your own t shirts, tops and dresses. It comes in a fantastic colour range so there is something to suit everyone!